Club Women's Ultimate Frisbee competed on Saturday, March 31st and Sunday, April 1st in Pittsgrove, New Jersey. The team went 3-4 on the weekend with wins over Princeton's B team 12-2, Northeastern 10-4, and Salisbury 11-8. Hofstra ended up finishing in 17th place in a large field of teams. Angelea Francesco made some impressive catches throughout the weekend and Katie Krukowski played well on both offense and defense. Lauren Small also played solid defense for the Pride. Overall, it was a successful weekend for Hofstra as they prepare for sectionals in two weeks. Club Men's Rugby took on the United States Merchant Marine Academy in Kings Point, New York on Saturday, March 30th for their second game of the season. For the first half of the game the play was even and there were no scores. USMMA came out in the second half and scored taking the lead 7-0. Hofstra's Joe Ovile got the scoring started for the Pride to tie the game at 7. The Mariners came back with a try of their own before Hofstra's Jeremy Tabansi scored a try to narrow USMMA's lead. Ultimately, USMMA managed to score one last try to seal the game 19-12. Hofstra is back in action this weekend as they host the Long Island Cup here at Hofstra University on Saturday, April 7th. 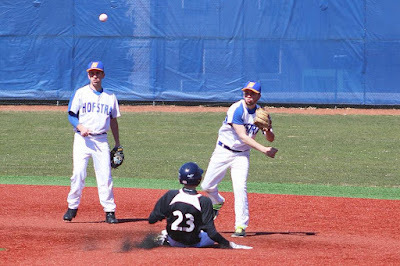 Club Baseball hosted Adelphi University for a doubleheader on Saturday, March 31st at University Field at Hofstra University. Hofstra lost the first game by a score of 5-2, but the Pride would end on a high note by winning the second game 8-3. Sean Cunningham and Stephen Locorriere pitched well and the Pride's offense was led by Cunningham, Kevin Cunningham and Anthony Speelman. Club Men's Ultimate Frisbee traveled to Yardley, Pennsylvania on Saturday, March 31st and Sunday, April 1st. The Pride started off the first day of the tournament with a 13-3 loss to Emerson University. In a close game against Skidmore, the Pride came back in the second half to take a 10-9 lead before Skidmore ultimately won 13-10. 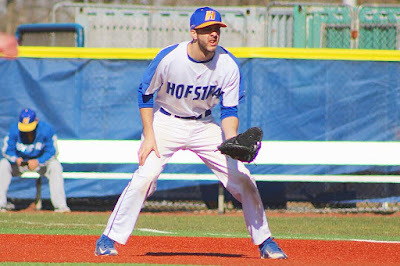 Hofstra ended the first day with a 13-5 win against SUNY Buffalo. On Sunday, the Pride started out strong and beat SUNY Albany 15-8. With this momentum, the Pride took on Massachusetts-Lowell and went toe to toe with them for the entire game. The Pride lost against the River Hawks 15-11. The team ultimately placed 7th overall and are looking forward to sectionals in two weeks. Club Women's Lacrosse played a round robin at Yale University in New Haven, Connecticut on Saturday, March 31st against Yale and the University of Rhode Island. In the first game against URI, Jessie Allendorf and Mikayla Ruthig scored for the Pride, but they fell 11-2. In their second game against Yale, Allendorf and Zoe Szczotka scored for Hofstra, but the team ended up losing 8-3. Club Women's Rugby competed at Princeton University in New Jersey on Saturday, March 31st for a tournament against Bloomsburg University, Princeton University, the US Naval Academy and Columbia University. Unfortunately, the Pride did not come away with any wins, but were pleased with the effort put forth by all of their players, especially when facing more experienced teams. Club Rock Climbing traveled to the Cliffs at Long Island City for their weekly climb on Saturday, March 31st. 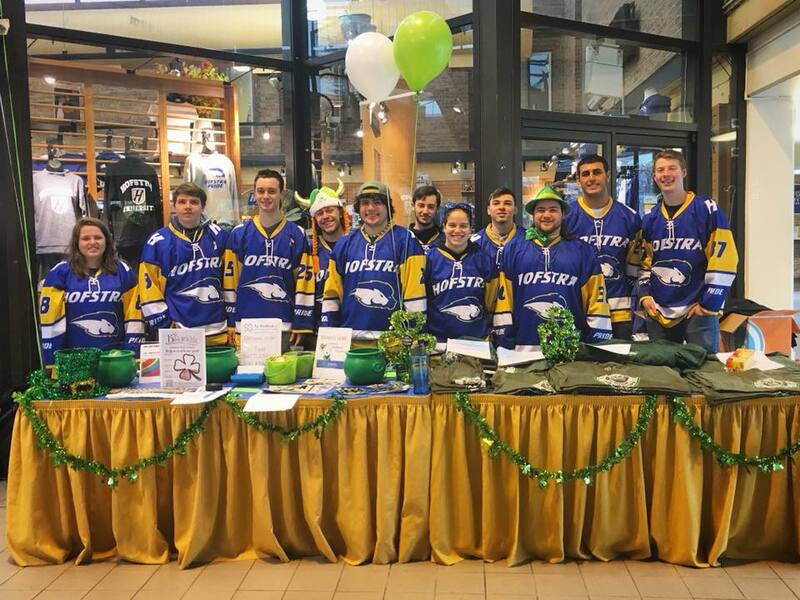 Club Roller Hockey hosted their tenth annual St. Baldrick's event at Hofstra University. The team raised over $22,000 for childhood cancer research. In its ten-year history, the event has raised over $200,000. For the fourth consecutive year, James Reilly has donated his hair to the St. Baldrick's foundation for childhood cancer. He organized the Hofstra-wide event on Wednesday, April 4 with the help of the Department of Campus Recreation. He personally raised over $250 for St. Baldrick's this year. James was named an alternate captain of the Division IV roller hockey team ahead of the ECRHA regional tournament. He is also a member of the Hofstra Billiards Club.